Source: Soundboard recording from the Aquarius Tavern in Seattle (formerly known as Parker’s Ballroom), summer of 1975 (the date is usually stated as June 1st). The venue has been confirmed due to the inclusion of two tracks – “Mother Earth Blues”and their cover of Kiki Dee’s “I’ve Got The Music In Me” – on their official MAGAZINE album in 1978. It appears that multi-track recordings were made that night and the bootleg sounds excellent. 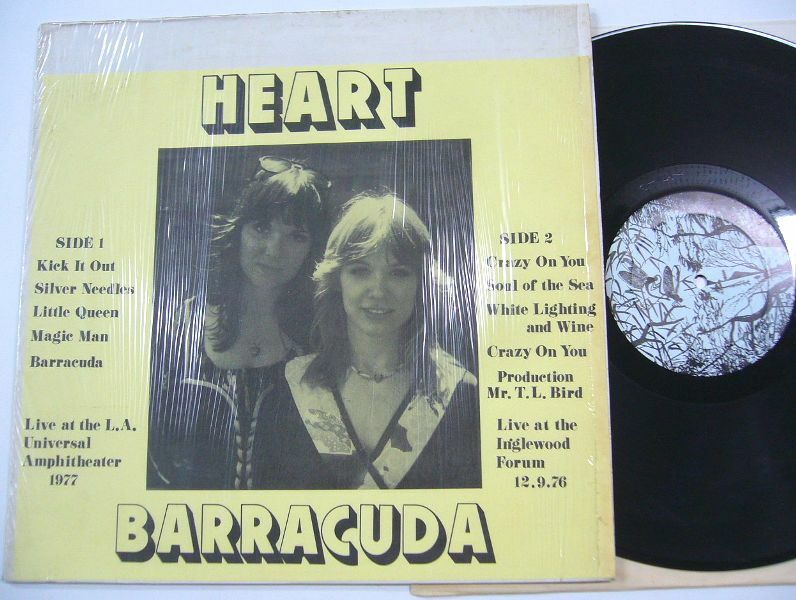 Heart’s debut album Dreamboat Annie was released in Canada in the summer of 1975 but would not see a US release until the coming year and the band was playing showcases in certain markets to drum up radio interest. I am not sure about the date in this case. What is certain is that Heart opened for Jefferson Starship at the L.A. Forum on the 30th of September ’76. 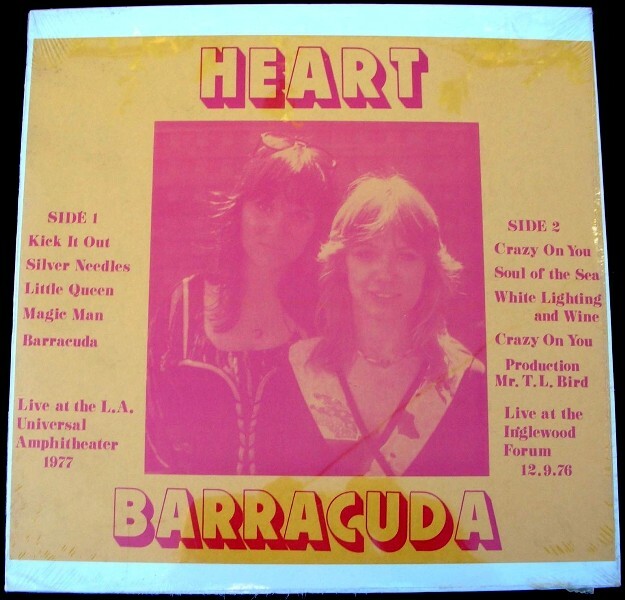 Sound quality for BARRACUDA is listed as “Exs” in Hot Wacks but the quality of the Death release suggests a significant drop. Does “Crazy On You” really appear twice (and from the same show)? 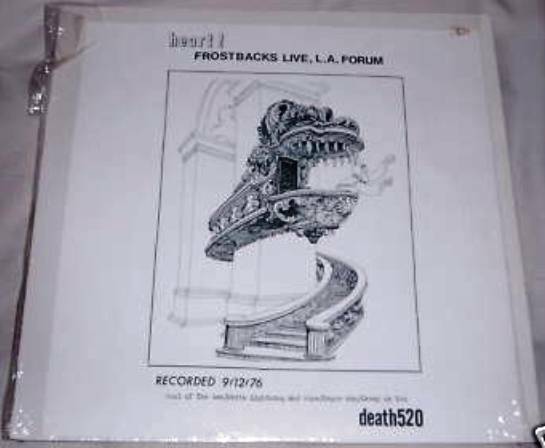 Recorded September 30, 1976 at the L.A. Forum [I am pretty sure the date shown on the cover is wrong]. Audience recording. Heart opened for Jefferson Starship. Heart touring following the success of their debut album Dreamboat Annie. Interesting, to see differing quality ratings per side.